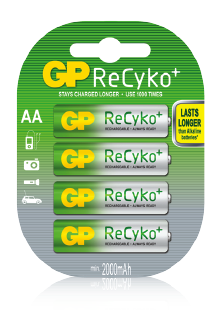 GP ReCyko+ is the most ideal battery. Being pre-charged and staying powerful for over one year (when not in use) it can be used for all possible devices. They are more powerful than Alkaline batteries and can be charged over 1,000 times, definitely a very environmental friendly and cost conscious choice.